SPECIAL ONLINE REPORT: Presenting balanced viewpoints in the controversy over Linden Lab’s new Terms of Service is a journalistic responsibility. So Heavy Writer speaks out for the average resident who doesn’t understand, or really care, about creators’ rights. Consider where the power lies in this dispute. Be realistic about doing business in a virtual world. 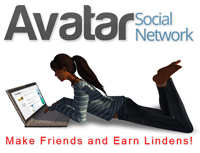 Some entrepreneurs can make a good income in Second Life® for their real lives. 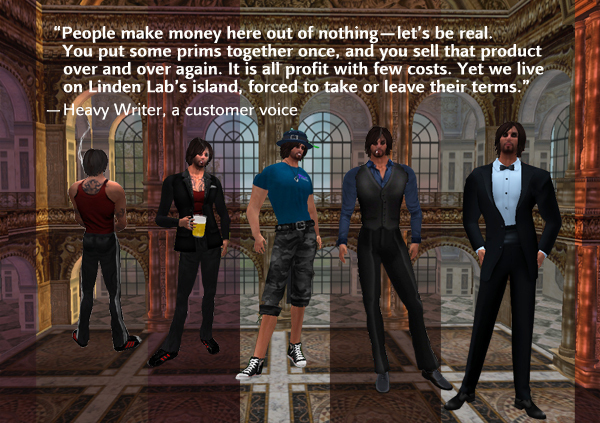 So they need to get along with Linden Labs, or they have no income. This gives LL leverage. SL is not a democracy. And LL has many happy customers, or other virtual worlds would be more popular. Though LL needs customers, in the end, each user is just one amongst many. It’s not nice to lose one who pays big, but it’s not the end of the world either. 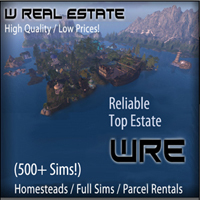 SL, as the first major virtual grid, has developed an entire economy. It is not simple to take your business from here to somewhere else. All your products don’t mean anything in another world—you’ll have to recreate them. That’s how SL stays on top—by offering many more gadgets than other grids, gadgets that residents created. So people will keep coming into SL. The stuff here is better and more realistic than anything else on other grids. LL has the money to develop more than others too. So if smart, they should keep their position. Other grids are good only if you want to avoid the larger competition in SL. It will take the same amount of work, yet in a world where customers are used to paying less for everything. For the near future, SL will stay on top. Yet two years from now, you might hate all the stuff you have. It might look outdated like so many things I have in my inventory after six years. I’m sure there are business owners who develop their brand on other grids too. But in the end, what counts is where you sell best. And that’s SL. The other grids are all still too small, and they will stay small, unless one of their developers comes up with something SL doesn’t have. Or unless they make an offer that people can’t refuse—like free land for all. 🙂 SL can do that too. It is just not healthy because it will kill those in the land business. It doesn’t really matter if people like the wording in the TOS or not. LL can, for example, sell this grid to another company. That means they will sell the grid content too. That other company might have a different policy. Also, if outdated at some point, this grid might simply close down. In either case, you won’t get rewarded for anything you have created here. Similarly, there are creators who left SL and their products are still available. It means LL owns them now. And, you still get to use those products. You can buy what you like from anywhere. Do you have any idea how many people sell templates for clothes and shoes and furniture? Many are the best creators. Then clothes designers buy the templates, and put on their own textures. If the creator can sell better on another grid, he will go there. Take, for example, someone building houses. Most look on Google for real life houses and copy the images. Isn’t this a design stolen? Textures for clothes come from Google Search too. Designers put textures of real clothes on their virtual creations, so that is also a stolen design. The only true creators are those who do everything on their own. These are rare. All those crying ‘look my design has been stolen’ are often thieves themselves! Real professionals are so creative that the thieves can’t keep up with them. Stealing design has been happening since the bow and arrow was invented. The new ToS states: “In connection with Content you upload, publish, or submit to any part of the Service, you affirm, represent, and warrant that you own or have all necessary Intellectual Property Rights, licenses, consents, and permissions to use and authorize Linden Lab and users of Second Life to use the Content in the manner contemplated by the Service and these Terms of Service.” To this paragraph many so-called creators will fail by using real life textures they got from the web. What does copyright mean in the end? Something that is original and you have created yourself? Can you claim copyright if you go on a beach and you spell ‘I love you’ in the sand? I don’t think you can, because a wave will come and wash away the writing. Same with the work that has been done in SL. What is online is not secure. With art or publishing, much of what you have done exists on your hard drive too. But this not the case for a piece a furniture that can exist only in-world. You might have templates on your hard drive like the map of a sculpt—on that you own the copyright because it is on your computer. You have proof. But in-world? You didn’t sign a contract with LL saying they have to provide you with an environment for you to create stuff. LL created the grid and they can sell the grid or close it down—that’s their creation. If you have a piece of land in real life, and other people come and plant crops on your land, or if they build a house on your land, this doesn’t mean you have lost the land. Quite the contrary. As a land owner, you decide what will happen with their house or with their crops, even if they own the contents of the house. So the first priority is the grid creator here—the land owner has priority. If SL closes down tomorrow, how can creators claim LL owes them money for their products? Perhaps what designers want is a piece of the cake in case SL is sold or closes down! What does matter is that the creator got paid WHEN selling. Things can change in a TOS from one day to another. Though artists are in entitled to be the first ones concerned, they don’t have much weight in the SL economy. Residents don’t have much leverage either. Once you start in SL, you are supposed to know and agree to the TOS and it always says that LL can change it anytime. If you don’t tolerate the TOS, you can leave, or sue them. In both scenarios, you lose. LL won’t change anything through residents protesting. The people who depend on having their businesses here for a living won’t leave. Yet these are the only people that count in this conflict—and they don’t want to mess with LL. Also, the audience will stay too if there are things here to enjoy. People don’t care who made a chair as long they can have it. And they will still buy clothes, no matter who owns the rights—the guy who made them, or LL—it makes no difference for the general population. They care just about the look and the price. Who made them is not their concern, and it is up to the creator to protect his work. There has to be a general movement against LL to make changes, and several hundred designers or residents won’t do that. The ToS is pretty scary when you read it. It covers a lot of situations. In the twisted legal wording, it is hard to determine what it really says. The lawyers are not stupid, they know what they have done and they are good with wording. This LL policy is not a clumsy mistake. If it was, they would make the changes the next day. Rather, they sent a statement that says the residents misunderstood. If I were LL, I would be concerned too about those who made a big business here and one day might turn against me in the eventuality I want to close or sell. Designers might ask for damages. But the fact you have a business here on LL property doesn’t mean they have to run their business forever just to keep your business alive. This TOS is an attempt that they get protection. Implementing more clear terms in their TOS might exonerate them from a lot of trouble. People make money here out of nothing—let’s be real. You put some prims together once, and you sell that product over and over again. It is all profit and few costs. Business owners should be thankful for that to LL. However, it is pennies on the dollar. Unless you can sell thousands, you aren’t making money. But you know how business people are. They never have enough. Most residents cover their costs by hard work or by paying with their credit cards. This is not an issue the general public is concerned about. Only business owners are concerned about it. This is a war of sharks. Businesses here, who made big money, will stay no matter what. They will leave only the day LL will close down the grid. But no matter how many buyers, the sellers will always say there are not enough buyers! Don’t believe everything you hear. Sometimes rumors are launched just to destroy competition. This society has a ruler, and the ruler is LL, take it or leave it. This is what TOS is saying and nobody can argue with that. We are all living on their island. We can go to another grid, but it will be a sad day for many people. It also will be a step ahead. Each time we move or we decide to change something, we make it better, don’t we? So, if tomorrow all this will be gone, I’m sure we can make it together somewhere else. If you put yourself in LL shoes, it makes sense what they want and is moral too. But if you put on the shoes of a creator, it isnt. LL is basically saying two things here: 1, we can’t be responsible for the stuff you are stealing, and 2, if is not stollen we got to have it too. Maybe they should hire me as their legal advisor because I can write in less words. This article is part of a special online report covering Creators’ Rights. The Second Life Newser does a great job of encapsulating notes from the panel. The United Content Creators of Second Life leads the creative community to address LL with issues. Sim Street Journal covers commentary on relevant issues of virtual commerce and culture. Published in complimentary versions: in-world and online. (Please see the in-world release or download Sim Street Journal#4 for more photographs, articles, and functionality. Comments and opinions are also invited.